With a beautiful view of the Villa Padierna Palace Hotel garden and golf course, La Veranda restaurant romantic design does not offer only a great atmosphere, but also a varied menu of delights, prepared by the Chef Cristobal Gómez. If you’re looking for an excellent international kitchen with beautiful views near Marbella, La Veranda restaurant is the perfect place. It is located in the luxurious Villa Padierna Palace Hotel, that is a very famous and recognised Golf and Spa Hotel. To be more specific, La Veranda restaurant is situated in the main building, offering a creative and vibrant cuisine using the freshest seasonal ingredients and the most modern techniques. 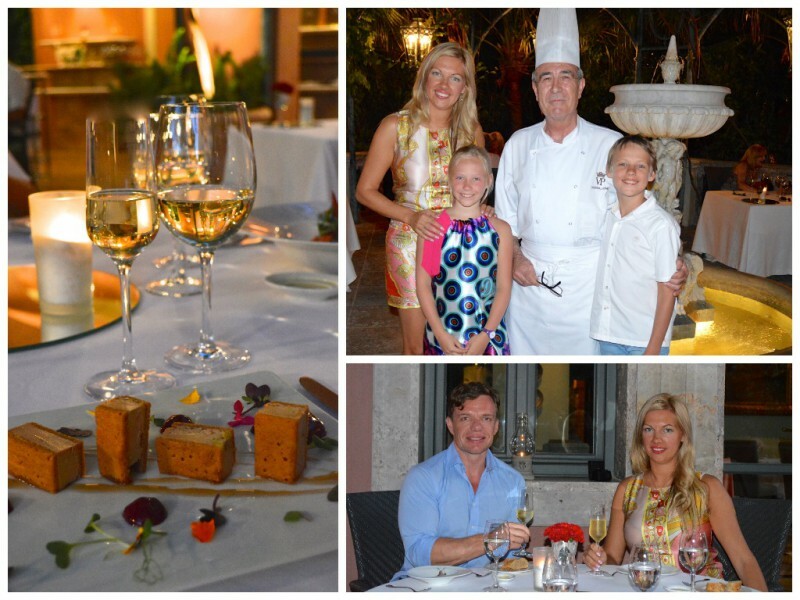 Annika Urm’s famil had the opportunity to test the menu in La Veranda. 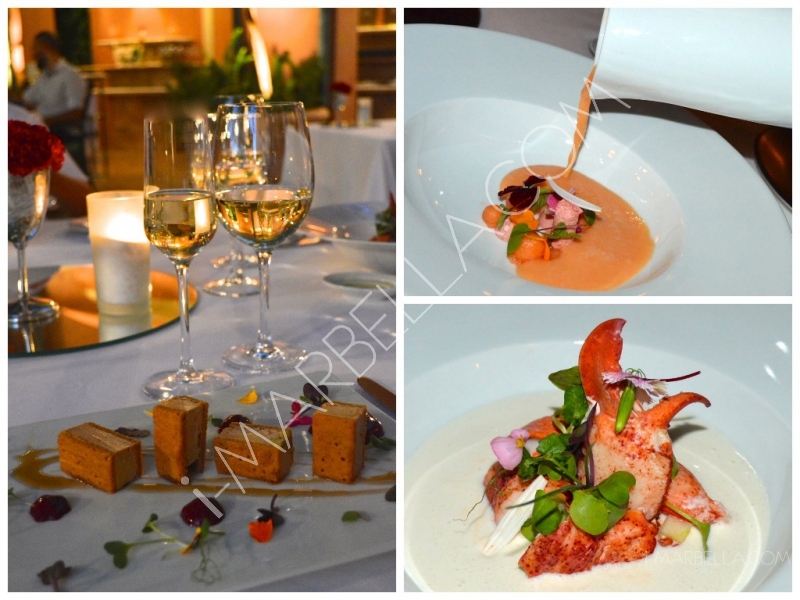 So we started the lovely dinner with some traditional starters, such as Lobster salad with Green Apple and Almond Soup. The second starter was the Foie Gras of Duck with Gingerbread and Cranberry Foam. Both were simple, delicious and rather healthy options, that will leave you just enough space for the mains. After the starters, we tasted the Melon Soup with its Pearl and Grapes Mousse. It was served in a very interesting way - poured into the bowl right in front of our eyes, on top of Pearl and Grapes Mousse. The taste was simply wonderful and all the ingredients of it, made the dish perfect. You could smell and taste all the flavours, definitely recommend it. Superb. As for the mains, we chose fish and lamb to be the stars of the night - Grilled Snapper with Citrus and Cockles, and Shoulder of Baby Goat with Potatoes and Garlic Cream. Villa Padierna is promoting more and more healthy eating options and all the meats and other products are very fresh and healthy. The grilled fish was a nice surprise - really juicy, delicate and delicious - grilled to perfection. And the citrus sauce was gave a nice touch. 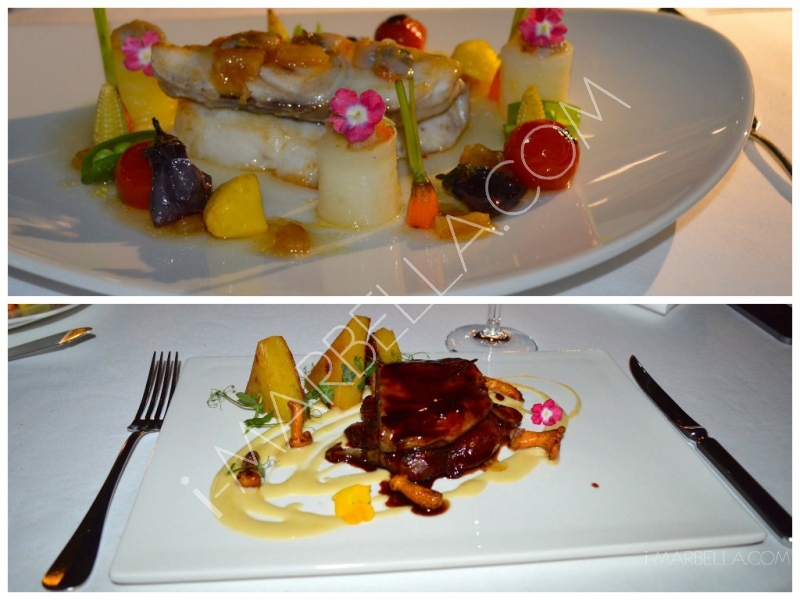 The food is really a masterpiece in La Veranda - not only does it look good, but it also tastes good! The lamb was exactly what I expected it to be and more - very juicy, slowly melting in my mouth with the Garlic Cream sauce. 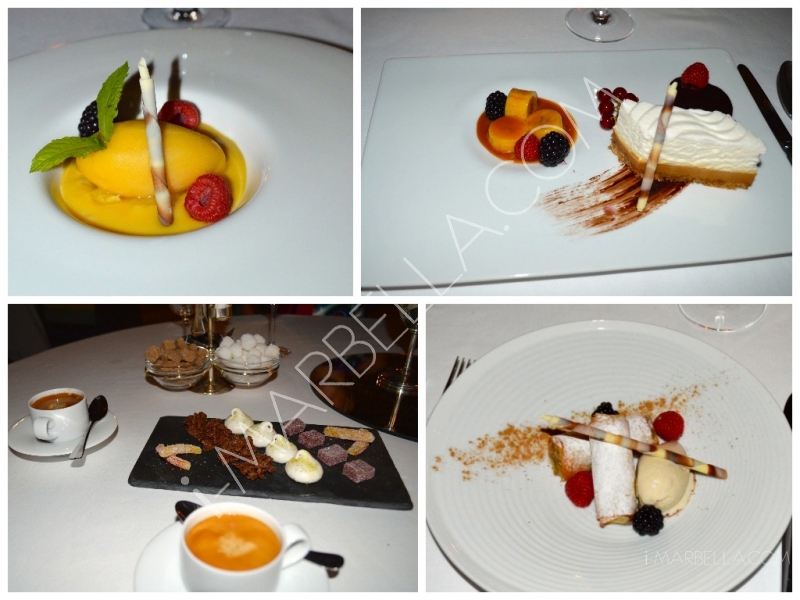 We were so thrilled and pleased with all the dishes and couldn’t wait to see what the dessert round had to offer. We were honestly super pleased and excited about the restaurant. We chose four desserts from the menu - Passion Fruit Soup with Pineapple and Mango Sorbet, Apple Crispy with Vanilla Ice Cream, White Chocolate Soup with Cookies Ice Cream, and Toffe Cake Cream Mousse and Caramelized Banana. Already when they brought the desserts to the table, we were wowed by the presentation. They were all so beautiful, we felt bad eating them! But we ended up tasting it and I am not exaggerating when I am saying that all of them were amazing. I can’t even point out any specific one, since they were just fabulous! We were all speechless and still are. Only positive words for this restaurant and the team. All and all, we called out the head chef Cristobal Gómez and thanked him for a wonderful food experience. If you dine in La Veranda, it will be one of the best meals you will ever have. And the service is excellent, just like it should be in a five star hotel. We really felt like royalties that night, and that is thanks to Villa Padierna Palace Hotel beautiful architecture, amazing team and luxurious treatment! Thank you!